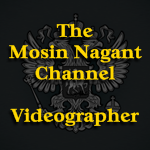 Southern California Mosin Owners • View topic - This should cleanup well. Re: This should cleanup well. That is so cool. I agree with iridium completely . I liberated a SKS from the jungle while in Asia many years ago , and wish I had left it in the "found" condition . I didn't ; and I've had many hours of enjoyment shooting & updating it to a modern tactical weapon ......but still . And those of us who know M-N's know that this archaic old war-horse is still lethal . And a "sniper", too . Great find , no matter what you decide to do with it . Thanks for posting this . The footnote for the photo indicated the rifle was dug on the Polish Eastern border.